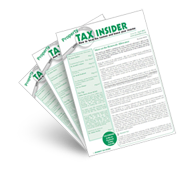 Which valuation figure would be used to determine my capital gains tax? I have lived in my home for 12 years and in that time added a whopping extension. I am hoping to build a new home and move into that, while keeping the second home and letting it. I realise there is an 18 months extension, but my question is what happens after that? Say I paid £200,000 for my house, then spent a further £100,000 (eight years ago) on extending it. The valuation is therefore considerably more than it would be had we not extended, i.e. when we come to sell let’s say the value is £600,000, but had we not extended, £450,000. How does this come into effect with capital gains tax (CGT)? As I understand it, we'd be taxed for CGT for the percentage of time we weren't in the property (plus 18 months), so surely that's unfair as the 'profit' (for want of a better word) was made while in occupation (by natural increases plus the extension). Is there any way I could get a valuation now (or in 18 months), and then pay the CGT on the difference (between sale price and valuation) when we come to sell? The way it works for capital gains tax is that you take the entire gain (e.g. £600,000 less £200,000 less £100,000 = £300,000) and divide it by all the years of ownership. Let's say you move out today and sell in three years’ time, so your years of ownership are 15. Your capital gain per year is £20,000. The first 12 years are exempt, as are the last 18 months of ownership. So you are only taxable on the 18 months starting today, which equates to a capital gain of £30,000. If you let out the house during this 18 month period you are eligible for the letting exemption, to reduce the £30,000. Unfortunately, the rules do not agree with your suggested method of calculation.